Aston Martin’s striking Lagonda Taraf saloon received unprecedented levels of interest when it was revealed last year in official images. Production will be limited to 200 models which will be sold in Europe, South Africa, and the Middle East although the exact proportions in each market are not yet known. Late in 2014, Aston CEO Dr Andy Palmer addressed an audience at an exclusive Dubai hotel, and officially announced that the car will be branded as the ‘Lagonda Taraf’, which translates to ‘ultimate luxury’, in the Middle East. The price was revealed on the specialist dealer H.R Owen’s site but was quickly removed. The base model is set to cost £696,000 but the massive range of customisation options from Aston Martin’s Q bespoke division could easily add £100,000 to the price tag. 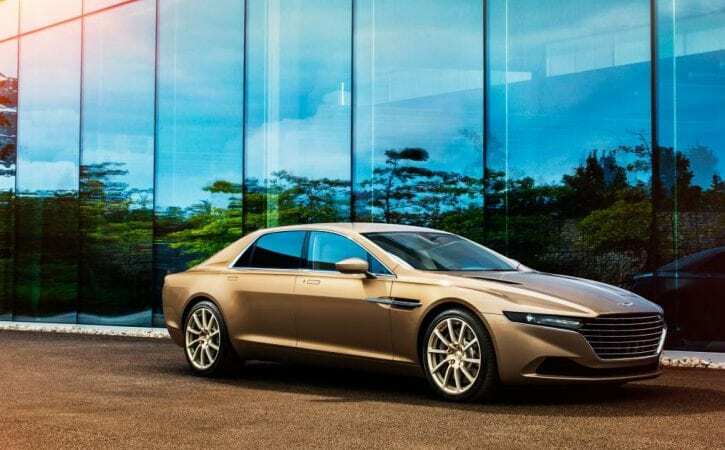 When the Lagonda was originally announced as a production car, Aston was adamant it would be a strictly limited small series model for Middle Eastern buyers only, but the firm has now confirmed it will be selling the Lagonda worldwide. That means it will be coming to the UK in small numbers. “It is clear from the initial reaction to the car that interest from around the world is extremely high and I can confirm today that we are also evaluating the opportunity to offer this Lagonda in other markets” Aston’s CEO said in Novermber 2014. Now Aston Martin has revealed the car can be ordered by customers in Europe, the UK and South Africa in either left- or right-hand drive form. Aston Martin originally planned to build 100 Lagonda Taraf models then sell them to a select group of Middle Eastern customers on an invitation-only basis. This was clearly the plan from the outset, as the first pictures we saw of the undisguised car showed it strapped to an airfreight pallet arriving in the region it would eventually call home for hot weather testing. Later, official images were released showing a close view of the exterior at night time. Elegant LED front and rear lights can be seen in these night-time shots, as well as the Aston Martin front badge emblem changed to just read ‘Lagonda’. Five shots of the interior show the car’s lavish seats and clearly very upmarket trimmings. Quilted leather covers the seats, doors and roof lining, and rear passengers clearly have generous levels of legroom, as well as body-hugging seats. They also have some form of advanced infotainment and climate system to play with in the back, all surrounded by gorgeous aluminium trim. There’s a 550bhp version of Aston’s thunderous 6.0-litre V12 inside, and there’s certainly room for it under that expansive bonnet. Drive is sent to the rear wheels via a six-speed automatic transmission and performance should be worthy of the Aston Martin brand. Expect a top speed close to 200mph and 0-62mph pace around the 5-second mark. The new Aston Martin Lagonda will be based on the VH paltform that underpins all current Aston Martins but, as we can see, its angular styling sets it apart from the manufacturer’s other current models. The car also features a stretched wheelbase to produce the rear leg room that’s essential for a top-end luxury saloon. Developed by Aston’s design chief Marek Reichmann, the car’s exterior styling borrows heavily from the 1976 Lagonda’s iconic wedge-shape, as well as featuring more modern touches that reference the Rapide. As we reported when the new Lagonda was first spied back in May, the sharply sculpted boot, roofline and flanks also provide further nods to the William Towns-designed original. Like its 1976 predecessor, which pioneered the use of LED instrumentation in its interior, the new Lagonda will employ cutting edge car design tech including carbon fibre bodywork. Each Lagonda will be hand-built at the firm’s Gaydon factory using the same facilities that previously produced the One-77 and under the auspices of the ‘Q by Aston Martin’ special projects division responsible for the CC100 roadster.